Hovensa Refinery Closing a "Body Blow" and "Gut Punch"
Gov. 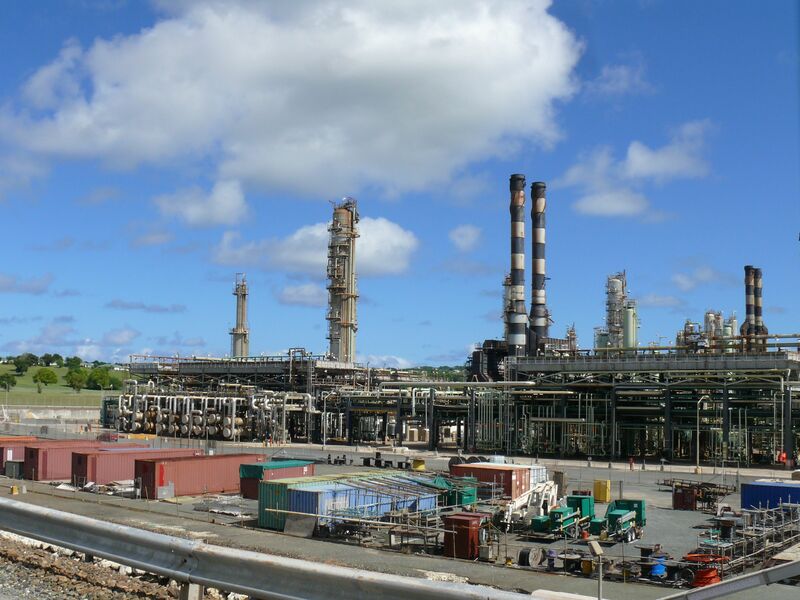 John deJongh Jr. and Delegate Donna Christensen both expressed shock and dismay Wednesday at the news the territory’s largest private employer – St. Croix’s Hovensa refinery – will cease operations over the next month, putting more than 2,000 workers unemployed by mid-year. "It was a shock,” deJongh said Wednesday morning, “a complete body blow, quite frankly, given what we are going through in the Virgin Islands right now." She said the 2,000 people who will be out of work would have a ripple effect on the economy and serious consequences on the businesses that rely on them. “It could not come at a worse time," Christensen said. Longtime Hovensa spokesman Alex Moorhead came out of retirement to inform the press and answer questions on the sad occasion. “We explored all available options to avoid this outcome,” Moorhead said, “but severe financial losses left us with no other choice. “I’m sure it is going to be a shock to a large number of people inside and outside the refinery," he said. According to Moorhead, the plant lost more than $1.3 billion over the last three years and losses were projected to continue. He said these losses have been caused primarily by weakness in demand for refined petroleum products due to the global economic slowdown and the addition of new refining capacity in emerging markets. In the past three years, difficulty turning a profit has caused the closure of about 18 refineries in the United States and Europe with capacity totaling more than 2 million barrels of oil per day, Moorhead added. In addition, the low price of natural gas in the United States has put Hovensa, an oil-fueled refinery, at a competitive disadvantage, he said, echoing statements Hovensa Chief Executive Officer Brian Lever and others have made about the refinery’s financial condition over the past few years. Hovensa currently employs directly about 1,200 people and approximately 950 others through contractors, Moorhead said. Asked when the layoffs would begin, Moorhead said details were still being developed, but the layoffs would be complete "in some months, probably around mid-year." Hovensa will also be giving the workers some extra severance. Moorhead said, "The company will be offering enhanced benefits to all employees, above and beyond what would normally be in place under company policy." Asked how much additional severance pay there would be, Moorhead said it would be tailored to each employee, based upon individual years of service, jobs and pay scale. The refinery will be working with the V.I. Labor Department to make the process as smooth as possible, he said. The impact on the territory goes far beyond the direct loss of jobs however. 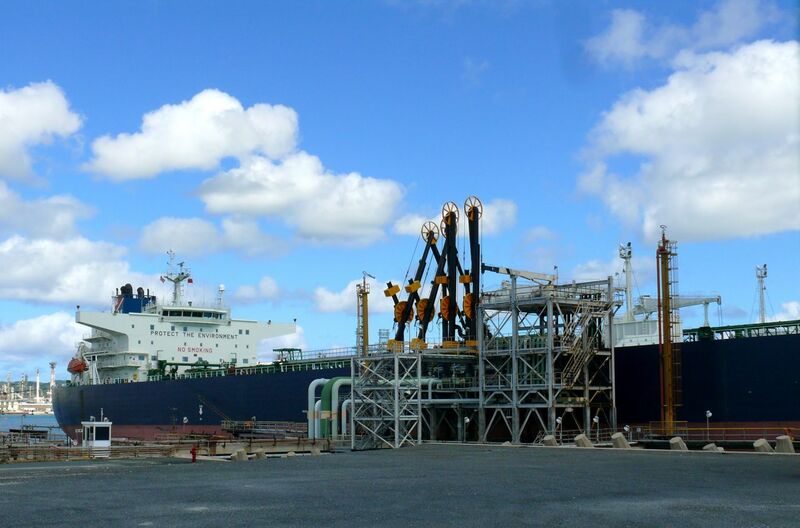 DeJongh said that while the refinery has operated at a loss recently, reducing its tax contribution to the territory, it has continued to be a major source of revenue. "I think it is safe to say the impact will be tremendous," deJongh said. "We are looking at a minimum of somewhere around $60 million dollars, between real property taxes, the income taxes paid by subcontractors and Hovensa’s direct staff." Fuel prices for the V.I. Water and Power Authority will remain steady until June, when Hovensa’s agreement with the territory expires, but after that, "it is quite possible" the price of fuel, and hence water and electricity, will rise, deJongh said. He is calling for negotiations with the Environmental Protection Agency, asking it to allow WAPA to burn less expensive, higher sulfur-content fuel oil, he said. Christensen also said she hoped EPA would find a way to work with the territory and let it use the less expensive fuel. Both the governor and delegate said moving forward with existing and planned development projects is crucial to responding to the crisis. "While on the one hand, it is completely devastating,” deJongh said. “On the other hand, it means we should not take our eyes off our initiatives, but redouble our efforts and ramp it up." The ongoing V.I. Next Generation Network broadband infrastructure project and a planned sports complex on St. Croix "will at least give us construction jobs for the next 18 to 24 months," he said. “More than ever this is a time when all residents and leadership from every sector must pull together,” Christensen said. DeJongh met with the leaders of the V.I. Water and Power Authority, Office of Management and Budget, Bureau of Internal Revenue, and the departments of Justice, Labor, Planning & Natural Resources, Finance and Human Services on Wednesday. He also asked Senate President Ronald Russell to organize an immediate meeting with the full membership of the Legislature. DeJongh said he asked Russell not to delay action on financial bills set for consideration on Friday. "The last thing our territory needs at this time is to endure the dismissal of more government workers on top of the 2,000 people who make up the Hovensa workforce," he said. The administration, especially the Labor Department, will be working with the refinery in the coming days to help workers with the transition, according to the governor. Meanwhile, with rumors and worries of a sudden interruption of gasoline supplies floating about, Government House issued a statement saying deJongh had spoken with Hovensa, and it would "be supplying their customers based on their previous purchase histories." From Washington, D.C., Christensen said she has begun reaching out to other members of Congress and to industry officials, and as a member of the House Energy and Commerce Committee, would be calling for hearings. She said she had spoken with Labor Secretary Hilda Solis and would be seeking every available federal resource to help, she said, "with the caveat that thus far we are not finding much." "But we will continue to pursue every single possible avenue to ameliorate this crisis." Hey President Obama, nice work, why not stop all oil production in the nation so all the refineries can dry up. You lying incompetent loser. You should come here when you are defeated in the next election, you’ll fit right in – a little chicken leg and johnny cake for free and you can serve in the Senate here. It’s nice to know that our “capable” Governor and Delegate were on top of this. What losers. That’s a pair that can beat a full house in an empty Casino. “Tourism?” Yea, tourism will make a come back! LOL! What a joke that is . . . only suicide patients will come here. I’ve been saying for a long time now – the murdering garbage needs to be cleaned off from St. Croix or NO ONE will want to come hear for any reason. 5 murders in less than 3 weeks. Wake up. What? You think people are stupid, they don’t read and hear what goes on here. No, they are not stupid – only the people who put up with these thugs of garbage year after year are stupid. Wake up. The tourists were your friend and you disrespect and hurt them and now you shall see how important they really were to this economy. Don’t believe the liars and complainers who continuously look back at history with entitlement and hatred. If you cannot stop looking back at a selective history then you will never be able to look forward into a successful future.